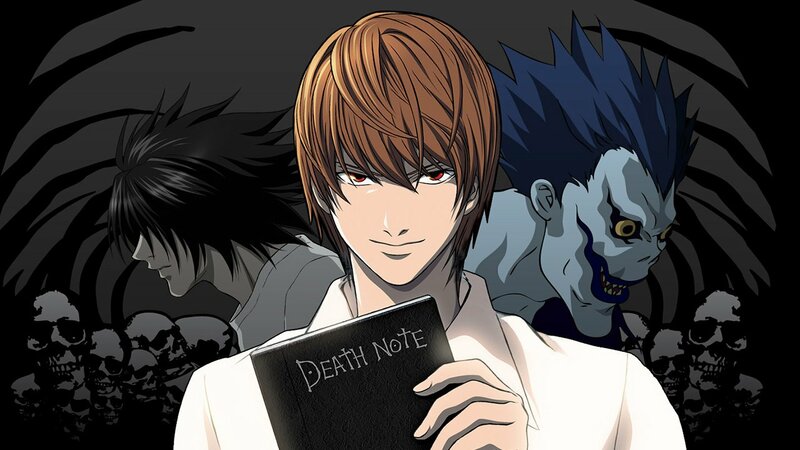 With more news surfacing regarding the Death Note movie being in final talks with a possible leading man, the question must be raised if this property (or any Anime/Manga for that matter) is feasible if done in the Hollywood system. Hollywood is notorious for mining other cultures for film concepts. This is nothing new, and sometimes it works out rather well; take the recent Godzilla for example: it captured the concept of the original film series while still managing to make a summer blockbuster. More often than not, though, films that use source material from another culture will be lost in translation. Japanese cinema is based firmly in the culture of Japan. When you take time and place away from the work, something is always lost. It’s the secret sauce that holds the story together. Take for example Akira: a simple story of kids and a government agency that pushes science too far. With the constant lust for power, the characters are sucked into a struggle that will ultimately change the face of Neo Tokyo forever. But one key element is present in this story that roots it firmly in the Japanese Zeitgeist: the image of the atomic bomb. Both in the Manga and the Anime, the image of the large white explosion is made to be prominent as the key force that caused the devastation on the landscape of Neo Tokyo. This devastation, although told to be from the experiments done on Akira, is reminiscent of the Atomic Bomb and a culture permanently changed by its use. With Hollywood working for over a decade in an attempt to remake this film in America, and with notable actor Leonardo DiCaprio attached at one point to produce, much of the core tenets of the property will need to be changed. People in North America do not have the same connection to the Atomic Bomb that Japan does, and to think we do would be hubris on our part. So, to take this cultural element away from the film would leave us with an action flick with psychic powers. Yes that could work—it might even be entertaining—but that’s not what Akira is about. It would be something very different with a branding slapped on it; a whitewashed take on a Japanese classic that would lose much of the heart that made the source material so engaging. That brings us to Death Note, a story that is also firmly placed in the Japanese culture. Parts of the Anime are centred around the use of the kanji for the main character, Light Yagami. The kanji for his name can mean either Light or Moon, something that is referenced many times in the story. With this concept being part of his overall plan to be the voice of justice upon humanity, he will be the light that will guide humanity through the darkness. This simple concept is something that would be fully lost on American audiences and would feel forced-in if it were used. But most importantly for the story of Death Note is the core concept of the Anime/Manga. The story is based around Shinigami, the gods of death found within Buddhism and parts of the Shinto religion. There are no real analogues to this within western culture. 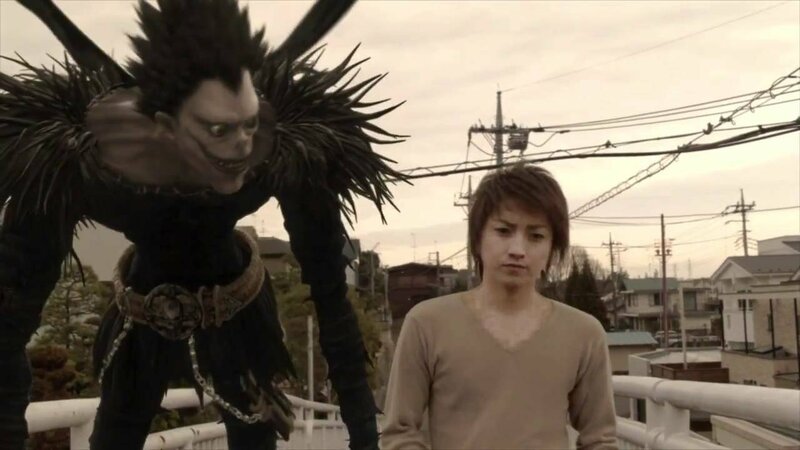 The obvious parallel is the Grim Reaper, but this is only superficially similar, since the Grim Reaper’s purpose is to usher souls into the underworld, while Shinigami are simply “bringers of death.” Without the core concept of a Shinigami named Ryuk growing bored of his existence and dropping the Death Note for a human to find for his entertainment, the show simply couldn’t work. The movie needs this core concept to push events forward. But ultimately, it’s Hollywood’s need to appeal to the widest possible audience that will kill any chance it has to make something on the level of most Anime/Manga. By its very nature, Anime/Manga can be as crazy as it wants. It has become an expectation of the medium that there will be some oddness and experimentation. With so many different shows and books being released on a weekly basis, something new and exciting is always needed to stand out from the crowd. Hollywood isn’t known for taking similar risks; it needs a multi-million dollar movie to hit as many people as possible. With this need to appeal to a large audience, much of the oddness needs to be taken out. It can’t offend large groups; it can’t have strange aspects that the majority of people won’t get. It is these strange aspects that make Anime/Manga work, but also what keeps big-budget films from seeing returns on their investments. In an age of hundred-million-dollar summer films, the unique film that plays to a small audience no longer works. Take that away and the heart of the property is lost; it becomes another film in a sea of mediocrity that will eventually be forgotten. Hollywood has shown time and again that when adapting properties from a different medium, things are often lost. Look at the long list of video game adaptations that seem like they should be no-brainers to turn into feature films, yet at every turn they manage to be abysmal messes. Even the latest Hitman movie that is based on a western character managed to complicate a rather simple story. With decisions to over-explain and under-develop the core concept of a property, Hollywood manages to make cinematic pablum that no one enjoys. The truth of the matter is that most of the time these Anime/Manga adaptations sit in production limbo rather than manifest into films we will ever see. With so much riding on each film that studios put out, these risky ventures often fall by the wayside. But if somehow the Death Note film manages to finish production and makes its way to screens, we can only hope that some aspect of the manga remains. If history has taught me anything, though, I shouldn’t be holding my breath.